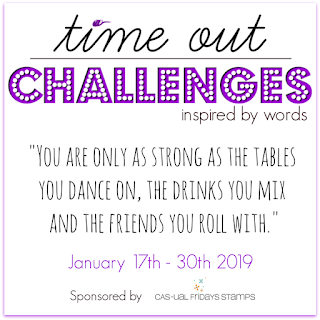 I have another card for you today that is for Time Out Challenges, it happens to be my second entry for this challenge. Once again, it goes along with the part of the phrase about friends. As I was cleaning up my studio, I came across an envelope of die cuts that a good friend (Barb) punched out for me and it had this cute little bird die in it. So if you want to know whose die cut it is…I haven’t the foggiest. However, I can find out if need be. Anyhoo, I decided to make a blended panel with my Oxide Inks to showcase these cute little birds and just leave them white. 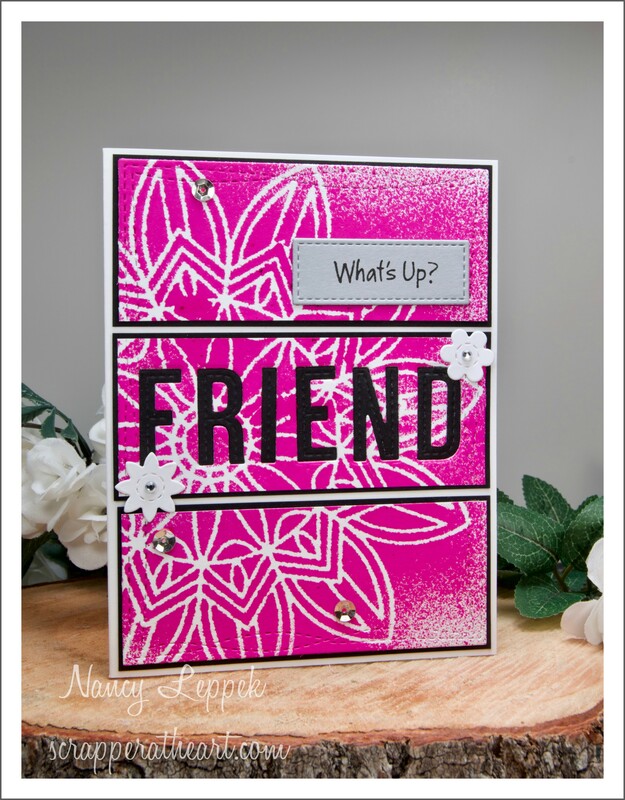 The grass is a from MFT and the word friend…is from Pretty Pink Posh. Topped it with a bow and I was done. It’s raining here and I am enjoying it immensely! Categories: Cards | Tags: Card making, Cards, diecuts, friendship, MFT, oxide inks, rubber stamps, stamping | Permalink. You’re On My Mind and Hello! Hello, And Happy Day to you! I have TWO cards for you today for TWO different challenges! 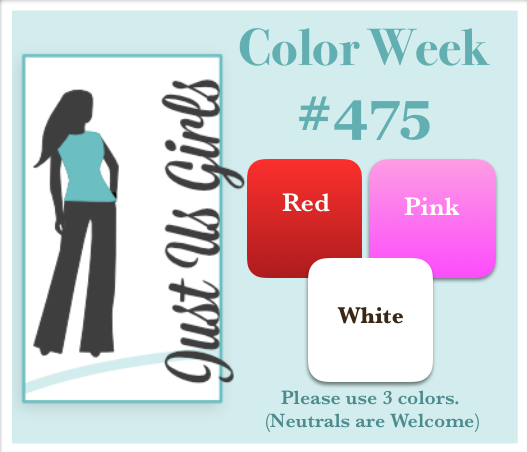 The first card is for this week over at Just Us Girls. 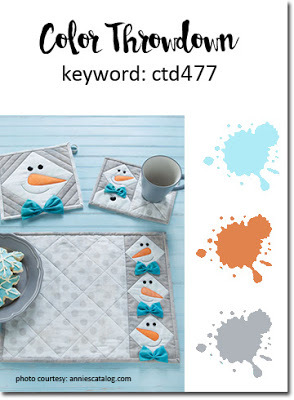 Vicki has a trend for you that is so much fun to do. 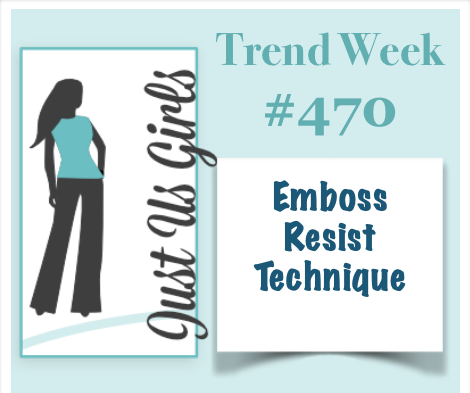 It’s the emboss resist technique. I have this great paper that I have been scarcely using from SU that I decided to use this week. It resists ink! I just love it! I used a mix of companies on this card, as I rarely do…LOL. 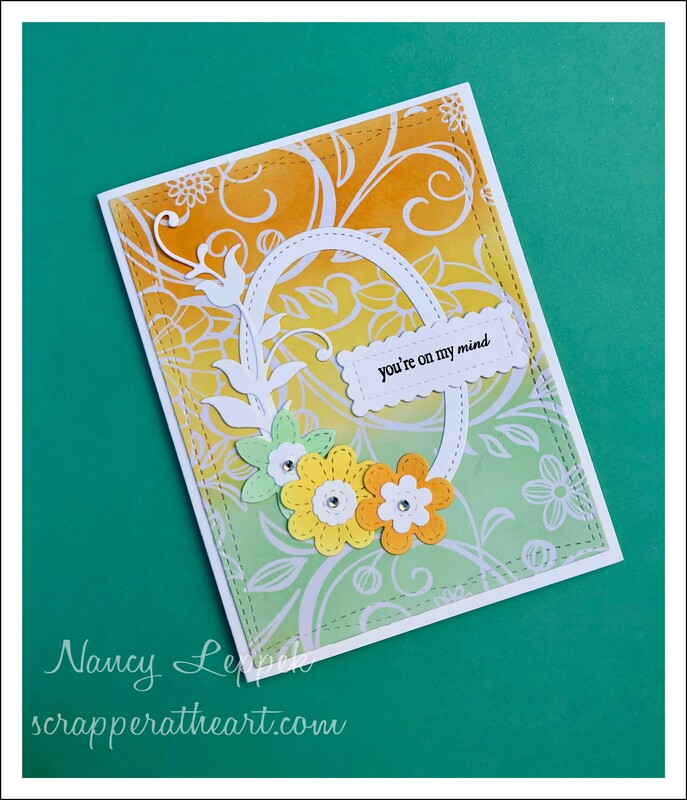 The oval is SU, the gorgeous vine and flowers and scalloped rectangle are MFT, and the sentiment is Verve. 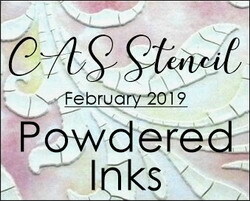 The next card is also using the Embossed resist technique along with a stencil for the NEW CAS Stencil Challenge that I am really excited about. I have so many stencils that get ignored, and now I have a reason to use them. 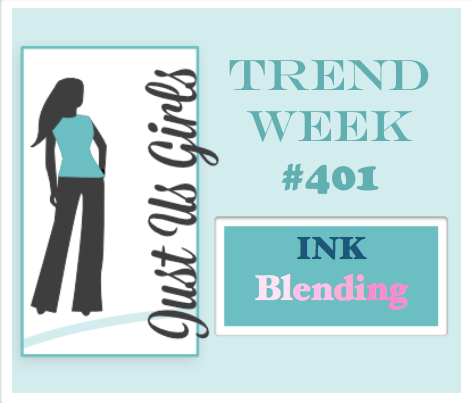 I used a MFT stencil and my Oxide Inks, a Papertrey Ink Stamp set, and my MFT wonky rectangles. Added some sequins and I was done. 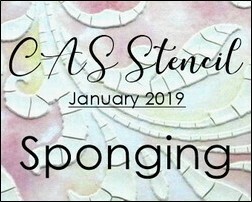 Please join us at JUGS this week and check out what my fabulous teammates and Two Guest Designers have done with this challenge and while you are hopping around, go check out the New CAS Stencil Challenge! 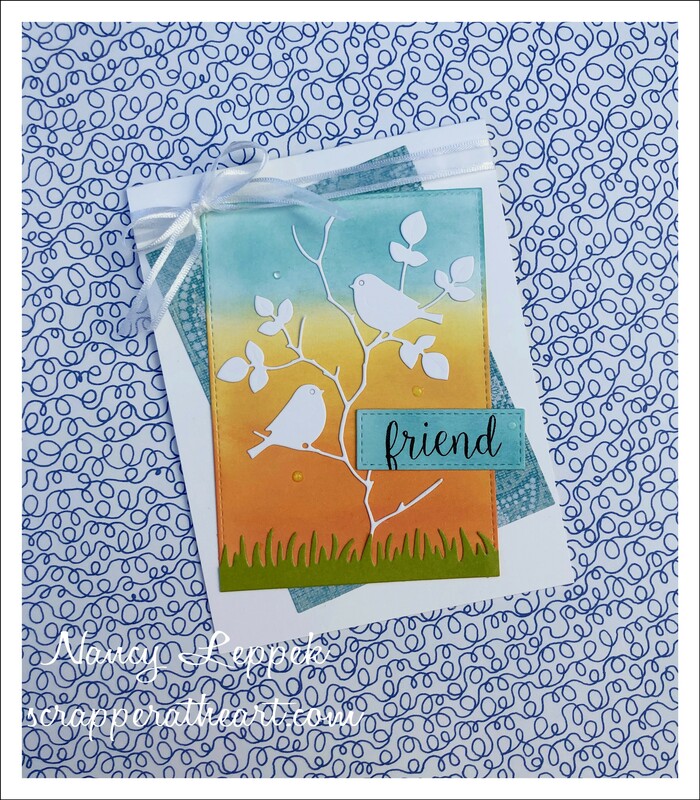 Categories: Cards | Tags: Card making, Cards, encouragement, friendship, Get well, rubber stamps, stamping, Stamping Up, Thinking of you | Permalink. 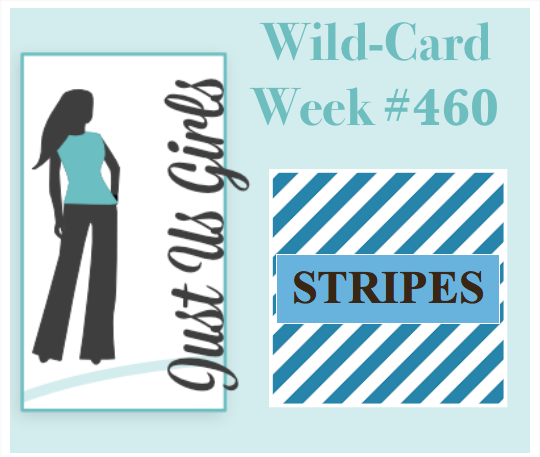 Hi, We have a great and easy Wild Card Challenge for you this week at Just Us Girls. The word is Stripes! I decided to get out some washi tape that I never use and try to make an interesting background with my Oxide Inks. I absolutely love the way it came out. 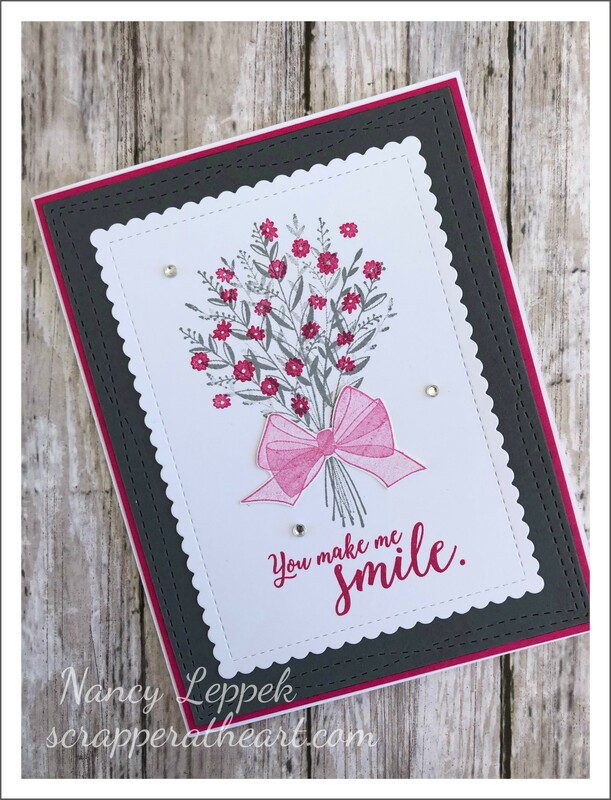 I made this card about a month or so ago and recently have seen a lot of other card makers doing this technique too. It is so easy and a lot of fun! I highly suggest you give it a try! Be careful, as I had a bit of a bleed in the bottom right of my base. 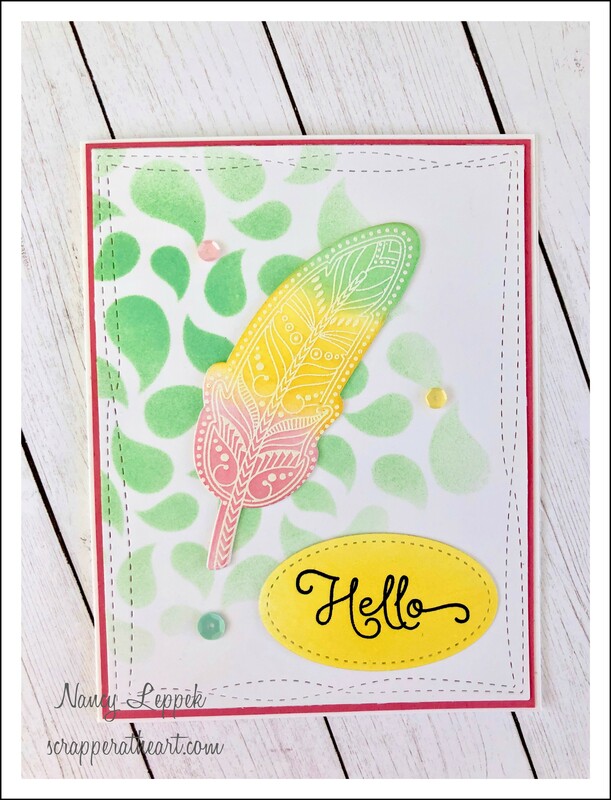 These feathers are a new purchase for me, they came in my very first Papertrey Ink order. I know, can you believe it?? I really love them a lot! I cut out multiple feathers and stacked them up to give the card a lot of dimension. Please stop by Just Us Girls and check out the teams amazing cards as well! I would also like to thank Julia for being such a wonderful guest this month. 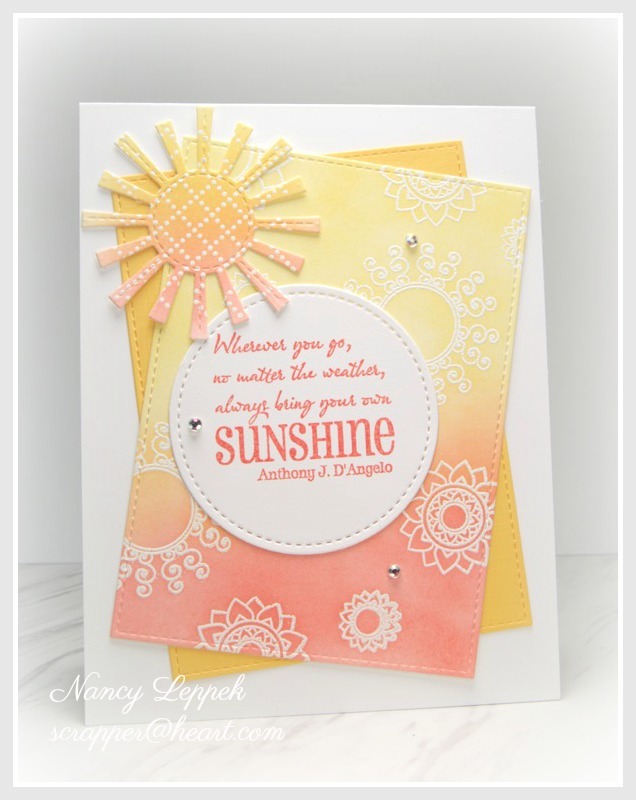 Categories: Cards | Tags: Card making, Cards, friendship, oxide inks, Papertrey Ink, rubber stamps, Thinking of you | Permalink. I couldn’t agree more with my sentiment on today’s card. However, I did manage to give up my 1 Coke a day habit in May, but I don’t dare even try to give up my coffee kick. I think no Coke may be one of the reasons I’m down 14 pounds since the beginning of summer. Just so you know, I am rather slender person and really didn’t need to drop that much. 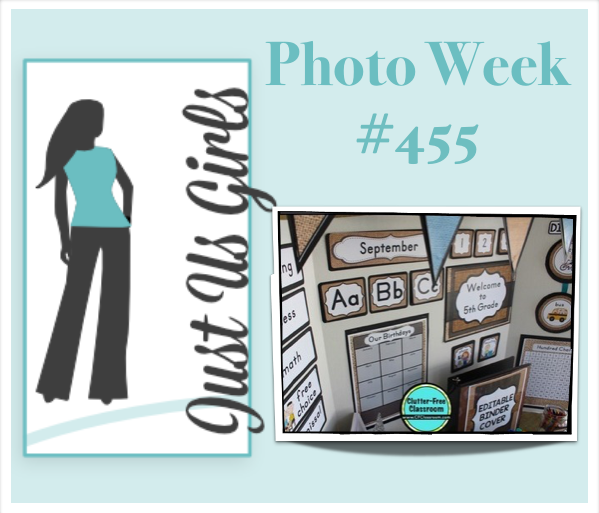 You didn’t stop by here to listen to my quick diet secrets, you are here to check out this weeks card for Just Us Girls. 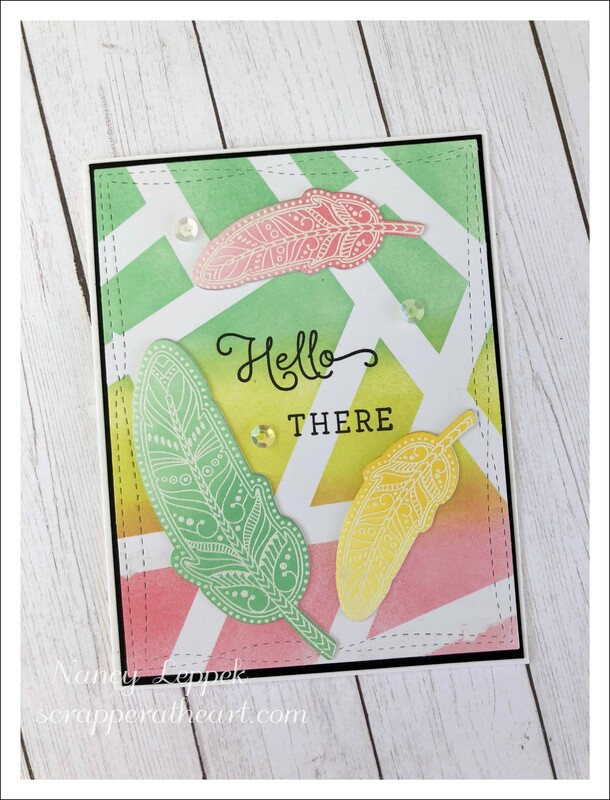 This card was made with a little bit of everything….mostly Verve, some fun DP, and some MFT. This card was so fun to throw together, and it was a great distraction from life too! This is our last week with our fabulous guest Ros Crawford over at JUGS. Ros, we have really enjoyed all your terrific cards and sure hope you will join us again when you have the time. Categories: Cards | Tags: Card making, Cards, friendship, rubber stamps, stamping, Thinking of you, Verve, Verve Dies | Permalink. Want to sneak in a post really quick before I hit the hay. 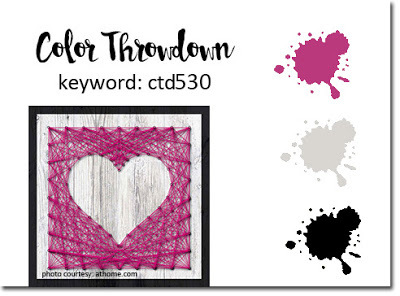 I have been eyeing this great color combo over at The Color Throwdown this week and I finally snuck in a few minutes today while it was raining to play along. 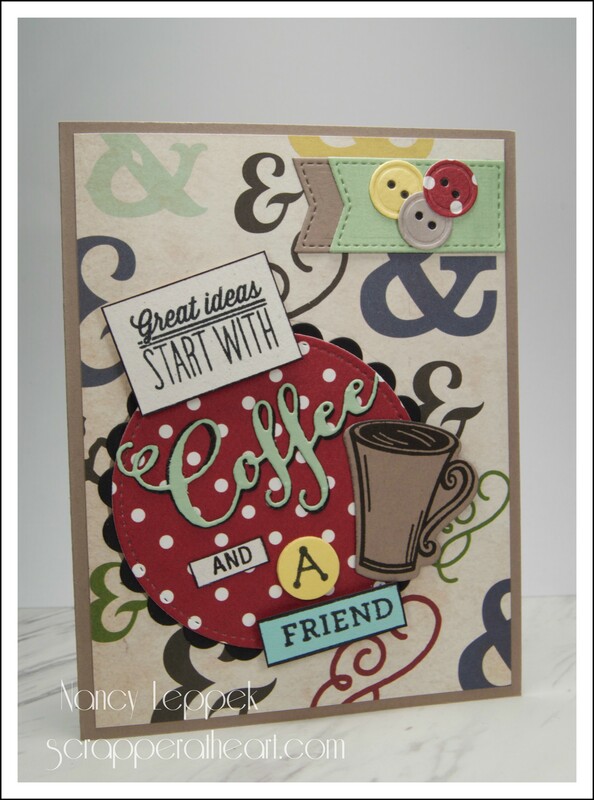 I got out one of my all time favorite stamp sets from Verve called Coffee and its matching die too. I am in LOVE with the shape of this coffee mug! It super whimsical and cute at that same time. I loved it so much, I decided to make my own background paper too. The coffee cup stamp doesn’t come with the heart, but I thought it worked really well, so I added it. 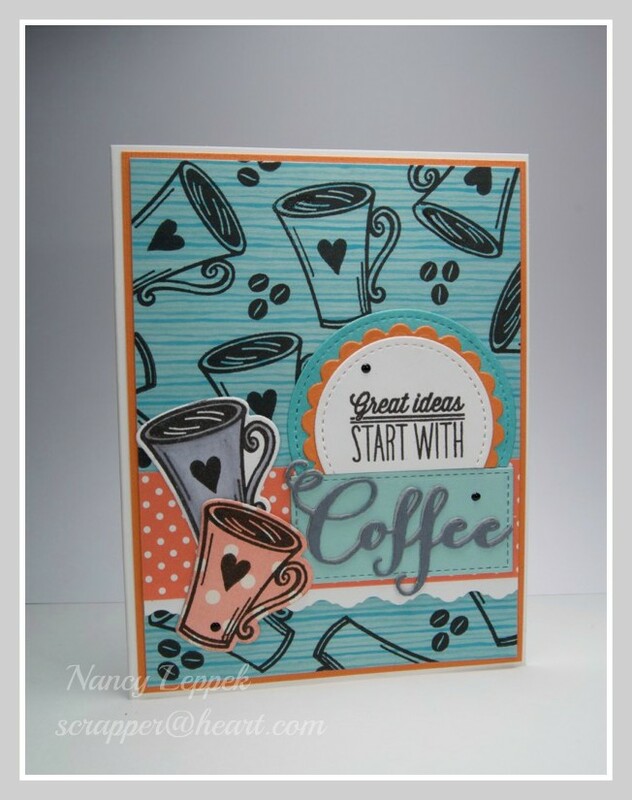 Categories: Cards | Tags: Card making, Cards, coffee, coffee lovers, color challenge, friendship, rubber stamps, stamping, Thinking of you | Permalink. 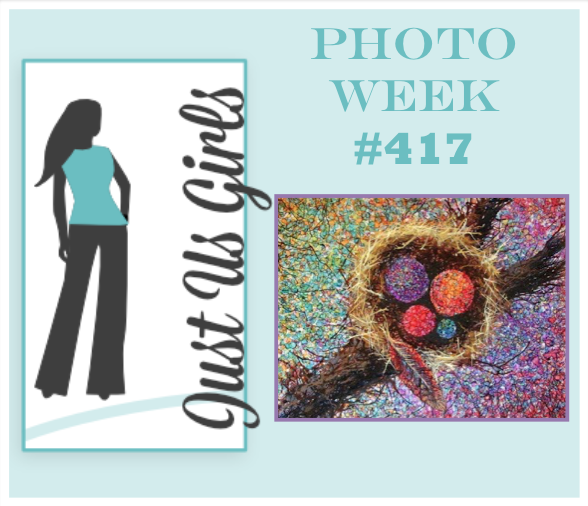 Hello Friends, Over at Just Us Girls Judy has chosen a fabulous photo for us/you to be inspired by! As soon as I saw this picture I knew exactly what DP I was going to be using! I also got out some of my favorite Verve stamps and dies to get my creative juices flowing. This card is very simple, but I like the way it came together. Please go over and check out what the rest of the team did over at Just Us Girls and I hope you get inspired to join us! 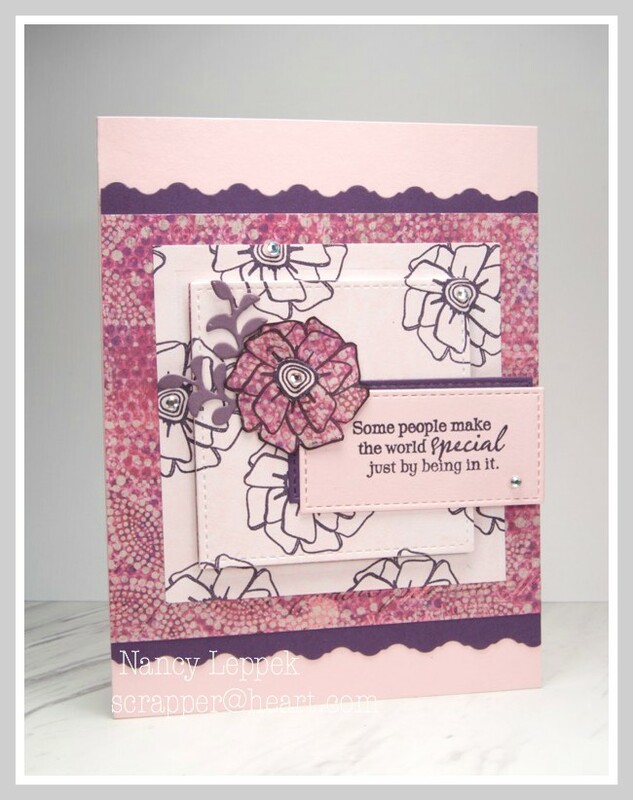 Categories: Cards | Tags: Card making, Cards, friendship, rubber stamps, stamping, Thinking of you, Verve Stamps | Permalink.